For the 21st consecutive summer, Couch Distributing has committed to help raise $10,000, supporting Surfrider Santa Cruz’s projects and campaigns through the annual Save Our Surf program. Started in 1996 by the local distributor of Anheuser-Busch beers and other beverages, the Save Our Surf program has raised more than $210,000 for Surfrider Santa Cruz (Couch pledges a nickel to the Santa Cruz Chapter of Surfrider Foundation for every case of Budweiser and Bud Light sold in Santa Cruz County between Memorial Day and Labor Day). The money has been used to rent office space, improve the lab where Surfrider conducts its weekly water quality tests, support outreach to local schools, purchase storm-drain stencils and conduct monthly beach cleanups. 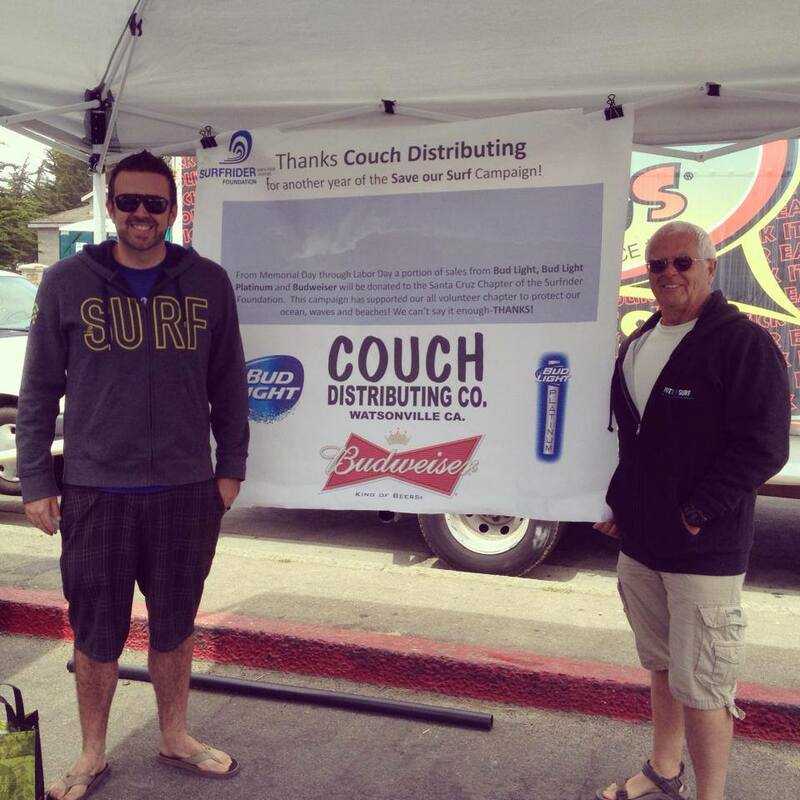 Couch Distributing’s support has also sponsored print advertising to inform the public of Surfrider’s activities.